From devastating flash floods to lightning bullets, hurricanes to savage hailstorms, tornadoes to temperatures of minus 70 degrees centigrade, this remarkable series looks at the awe-inspiring power of our weather. The story is told through rare eyewitness footage, visits to the world’s most inhospitable locations, interviews with meteorologists, and the recollections of those who have been caught up in deadly natural phenomena and lived to tell the tale. 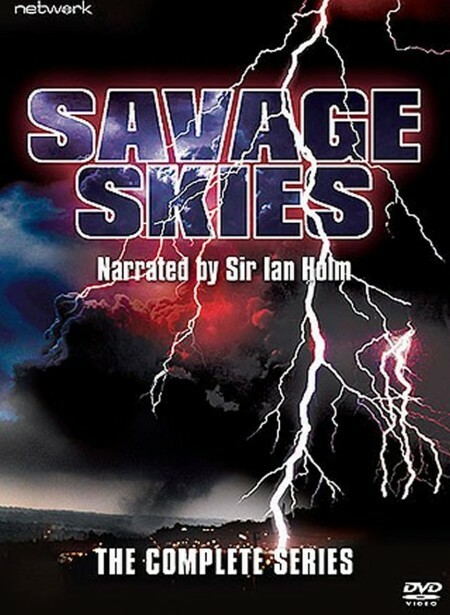 The series features spectacular NASA footage of lightning ‘sprites’ and ‘jets’ seen from outer space, and a report from the National Hurricane Centre in Miami as it monitors the progress of Hurricane Luis across the Atlantic; among featured locations are Oymyakon in Siberia, whose inhabitants live in temperatures that can drop to minus 70 degrees centigrade, Mount Washington in New England, Glencoe in Scotland, and Bombay, where the monsoon is eagerly awaited; there is a look at the coldest British winter of the 20th century, and interviews with people who have cheated death in freezing mountain conditions; we also follow storm chasers, including Richard Horodner, in the American Mid-West.